This lehanga choli is not the traditional one, it’s something fusion of western and Indian. The subtle color and designer look is making it a must have attire in your baby girl’s wardrobe. 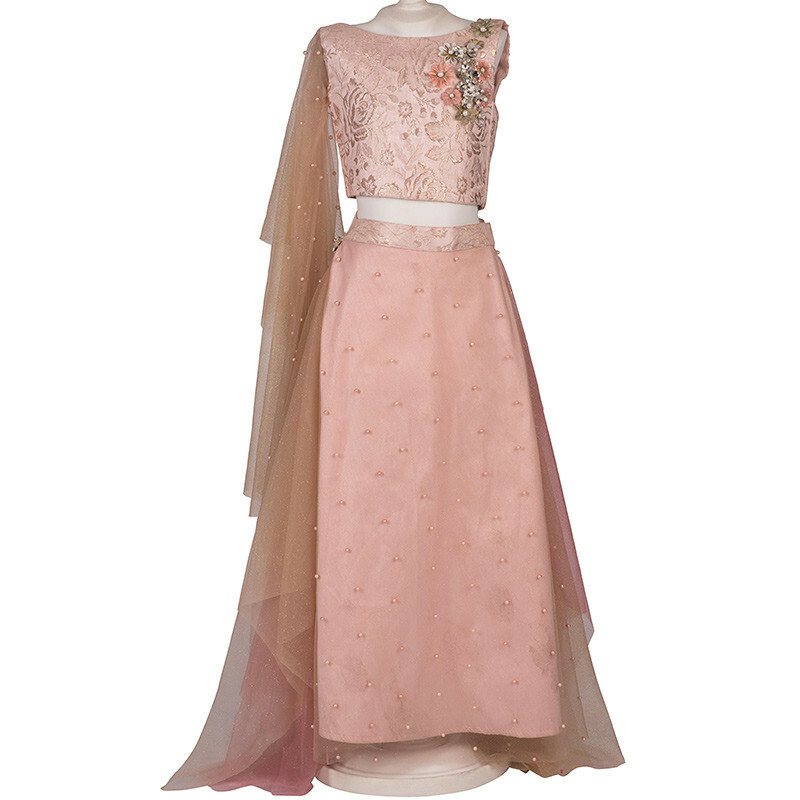 You just need a peach color bellies and a stone embellished tiara to give it a complete party look. It’s a very elegant gown which is floor touch and has sequin waist belt with a sequin fall from the shoulder which is enhancing the look of the gown. You can grab a sequin headband and black sequin footwear for your little diva and complete the look of the attire. It’s a gorgeous one shoulder dress that has this peach color and to enhance the beauty of the dress black embroidery on pleats is there. 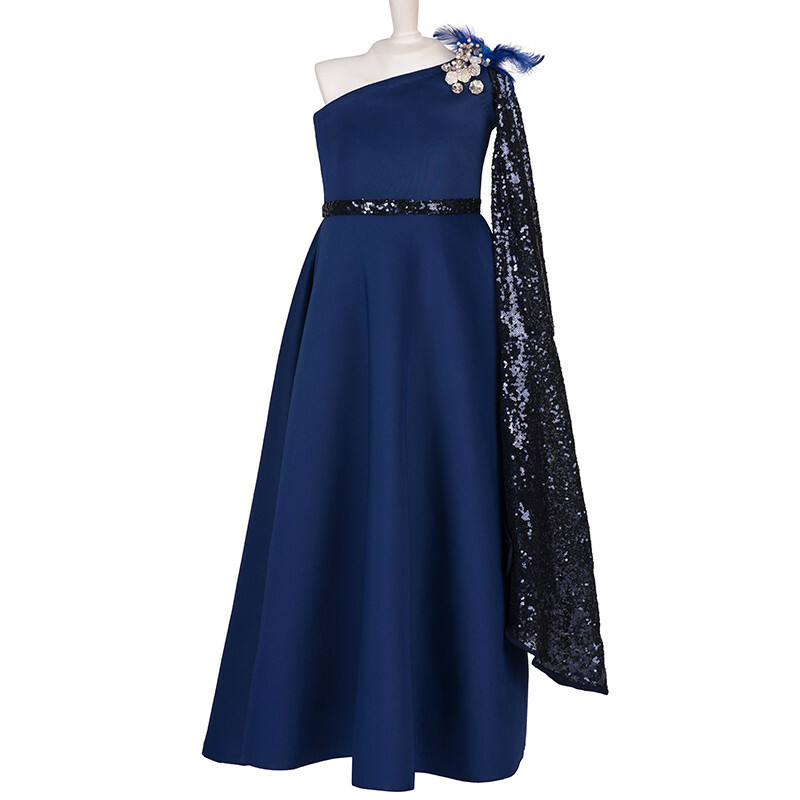 It’s a perfect party dress which is going to make your girl look very adorable and pretty. 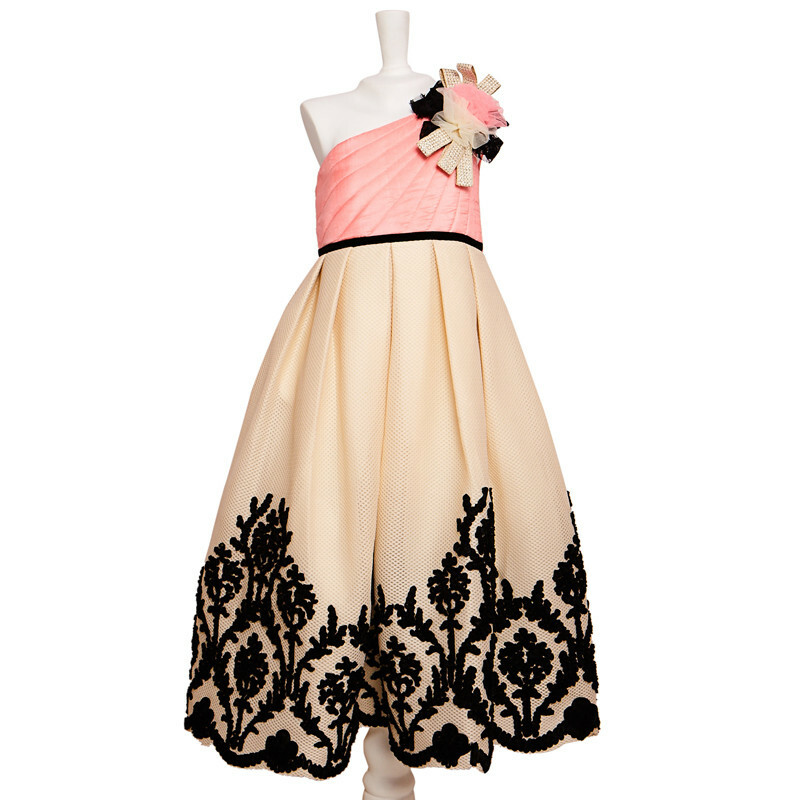 A pink flower headband with black elastic will look good with this dress and black bellies will compliment the dress. It’s a must have attire. Turquoise color looks amazing on any girl and it’s a very elegant color as well. The beats embellishment on bodice is enhancing the look. 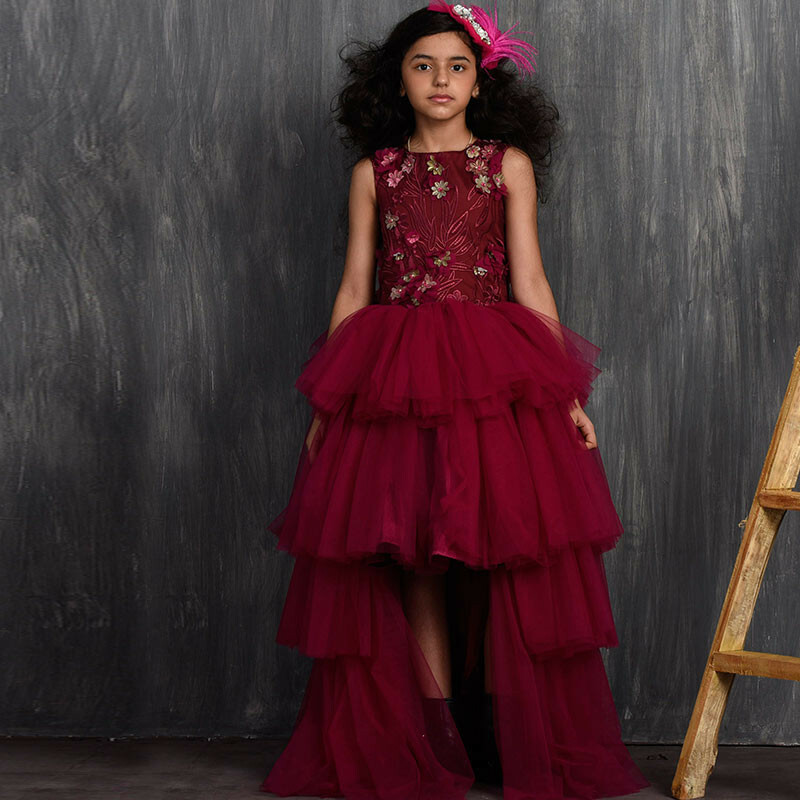 The crafted ruffle work is what gives it a fairy princess gown look. You just need a cute betas headband and a white color bellies to make your girl look like a diva. 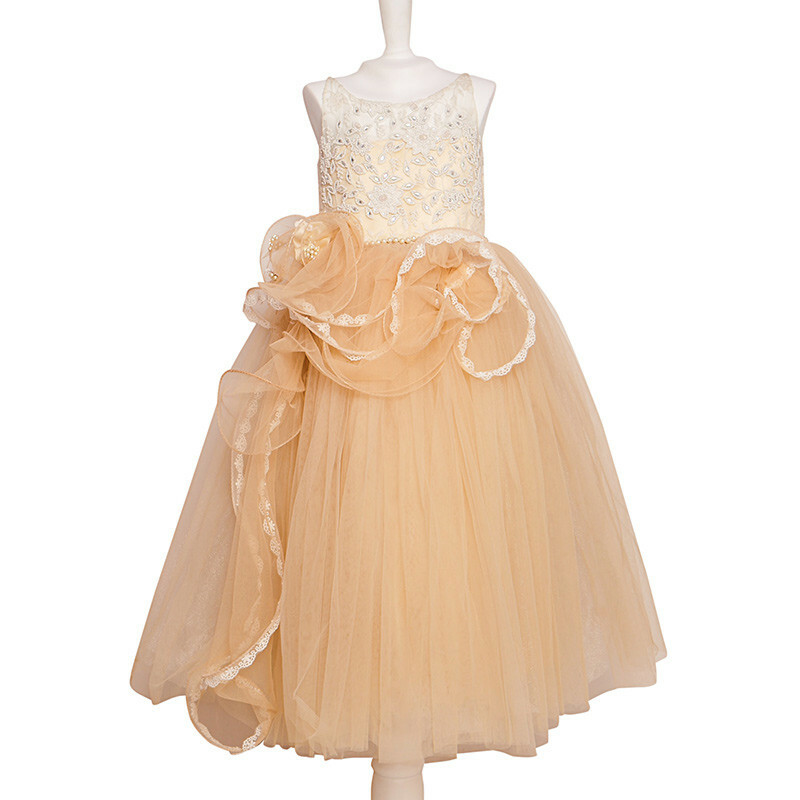 This pretty gown with floral design on tulle and embellishment on bodice will make your girl look more charming. The gown is very gorgeous and will look great on day or night party, you just need to accessorize is properly. Grab a white bellies and a tiara to make your girl look more gorgeous. Gift this gown to her and see that million dollar smile on her face. The collection is what you have always waited for. It has style, elegance and adorability which will make your girl look like a fashionista. So grab it now and have a great shopping experience with babycouture. The post Fancy Party Dresses By Pinkcow At Babycouture Store appeared first on Baby Couture India.